It’s another Vitamix blender comparison. You’re not alone if you think discussions on health, lifestyle, and fitness is all that we chance upon at work, at a party, and well, just about anywhere! It doesn’t take a whole lot to figure that everybody is jumping on the health bandwagon in order to look fit and feel fit. What’s going to get you there a whole lot sooner is a blender that packs in a punch with those deliciously healthy smoothies, juices and energizing beverages! This certainly sounds like the work of a Vitamix blender, right? We’ve got it all figured out for you with a comparison of the Vitamix 5300 and 7500 models, What follows is a complete insight into Vitamix 5300 vs 7500 to determine which one of these powerhouses you should be taking home with you. Let’s face it, we’d rather enjoy a sumptuous variety of soups, dips, vegetable juices and smoothies in the comfort of our home and at half the price. Besides, healthy living should be a daily exercise and not just a one-off indulgence, right? This has been made a lot easier with a wide range of Vitamix blenders. We often spot the Vitamix range of blenders on the counters of most fancy juice bars and restaurants. Today, we’re going to help you pick out one of these beauties for yourself! 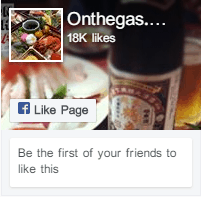 We’ve listed out all their features on a comparative basis for you to spot the difference easily. A list of pros and cons to help you get closer to your pick, and our final verdict on both these wonderful products! But don’t jump there yet, let’s run through all that these blenders bundle together for us. So let’s take a dip into the world of food processing with Vitamix! Capacity – Both these dynamos come with a 64 ounces capacity container that makes for a perfectly sized and filling breakfast smoothie. It is also the ideal size for an after meal health drink for a family of 3-4, making sure you don’t get ambitious with your quantities and over-indulge. To leave no room for spills, we would suggest not using the blender at maximum capacity. Fill it up a notch below its 64 ounces capacity for optimal user comfort. The calibration on the container helps you check your consumption effortlessly. For those of you who are finicky about the texture of your smoothie and get put off by grainy juices and pulpy smoothies, both these blenders come with ten-speed controls, making sure you get exactly what you’re looking for. This works well for a family with varied tastes and preferences, bringing versatility to the table. Dimensions and Aesthetics – Speaking of tables, these wonder machines can fit right into your kitchen cabinets with ease. Measuring 17.25 x 8.75 x 7.25 inches, both Vitamix 5300 and Vitamix 7500 sport a compact design that makes it easy to clean and maintain it. Both weigh close to around 12 pounds but the shipping weight should be a shade over 15 pounds with all the accompaniments. With two colour variants of poppy and black, it is sure to effortlessly blend into your kitchen décor. Needless to say of course that irrespective of the colour, the products deliver effortlessly. The solid body made of shatterproof plastic ensures an accidental nudge or hit shouldn’t dent the machine or your spirits. Having said that, we must admit that the Vitamix 7500 boasts of a slightly more attractive, modern and sleek design. Pulse Switch – This helps chop your vegetables or fruits in a chunky fashion, ideal for salads and diced vegetables. 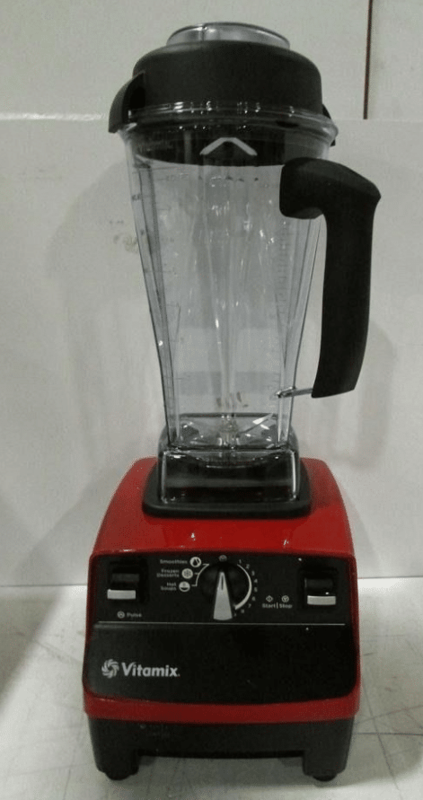 Ten Speed Control Dial – You can enjoy ten variants of speed on both these blenders that can effortlessly chop through ice, the most stubborn fruit, frozen vegetables, nuts and the likes leaving with the texture and consistency you desire. Start / Stop Switch – This switch gets you started on the blending process. The Vitamix 7500 does look a tad more attractive and that’s purely because of the illuminated control panel. It gives an impression of a cleaner, more sleek panel that is more inviting and pleasing to the eye. 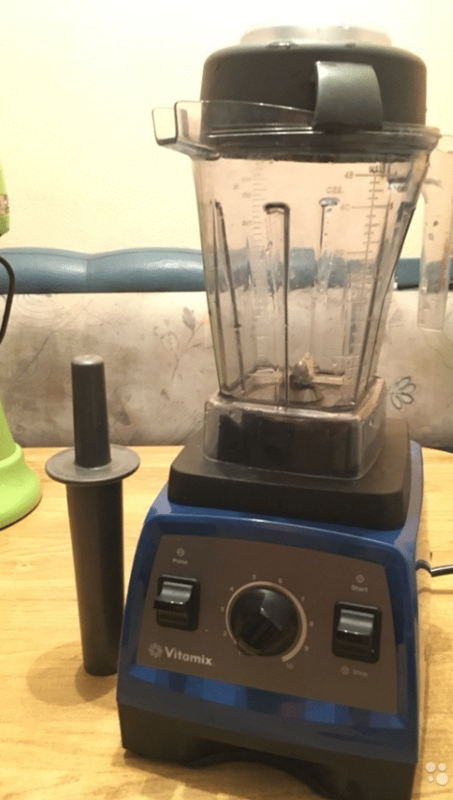 A drawback in both designs is that you cannot switch it on a leave it to blend, which we open to see in other blenders. Both sport a heavy top lid ensuring there are no spillages even in a moment of distraction. The thick handle makes for a comfortable grip on the container and the finder grooves give you a strong lock on the machine. It enables you to pour out your ingredients easily without any spillage or stains. The transparent glass container helps you monitor the extent of your blend easily. Power Dynamics – For those tedious casseroles and vegetable juices, it is important that your blender brings to the table considerable power and performance. Between Vitamix 5300 and 7500, there isn’t much of duel as both offer similar power specifications. With a 2.2 Horsepower motor, you’re certain to enjoy benefits of some tough grinding, pureeing and chopping of absolutely anything you drop into the container. It sports a 6-inch cord which is just about enough for it t extend to your electric outlet. It has a 120 voltage, 50/60 Hz and 11.5 Amps. What this means in layman terms is that you can pulp away ingredients on this machine multiple times a day and expect it to deliver each and every time, as it has been built for the works. It allows you to power pack your day with all things healthy in a matter of minutes. The power specifications of this machine also make it ideal for commercial use. It is no wonder then that we often see the Vitamix 5300 or Vitamix 7500 in cafes, bars, and restaurants. Blade Size – They both spot similar blades of 4 inches each made with premium stainless steel. These blades are strategically placed at conducive angles to facilitate strong chopping power. Most people would expect these wonder machines to have razor sharp blades. On the contrary, the blades are not very sharp, ensuring they can effortlessly blend and chop various inputs and work consistently over the years without posing problems of blunt blades that other blenders pop up every few months. These blades are placed at an angle that facilitates consistent chopping of the whole bunch of ingredients in the container, maintaining uniformity in texture. The last thing you want is lopsided chops and lumpy chunks of vegetable or fruit in your smoothies. Trust both the 7500 and 5300 models to take care of that. A word of caution here though. Both Vitamix 5300 and 7500 come with a wet blade. 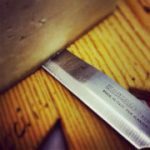 Which means, if you are looking to powder dry ingredients, it would be wise to invest in a dry blade and a dry container. While the wet blades can efficiently manage a one-off dry job, but an optimal dry blending on a regular basis calls for investing in separate accessories. Cleaning & Maintenance – Containers of most blenders aren’t welcome in dishwashers, and Vitamix is no different. The containers though are largely self-cleaning – just throw in some washing soap and water and turn the blender on to watch it clean itself. Both containers tend to get cloudy and moist, which is why it would work well to back up the self-cleaning process with a manual session using a sponge. This isn’t very tedious and shouldn’t take more than a minute or two. Warranty – A roomy 7-year warranty is offered on both these powerful machines. We must say this is quite commendable in comparison to the industry standard. Any problem or defect arising through the span of these 7 years will be met entirely by the manufacturer, provided the same does not arise due to your negligence in usage and product handling. We would advise scanning through the terms and conditions booklet in order to be fully apprised of the terms of the warranty. 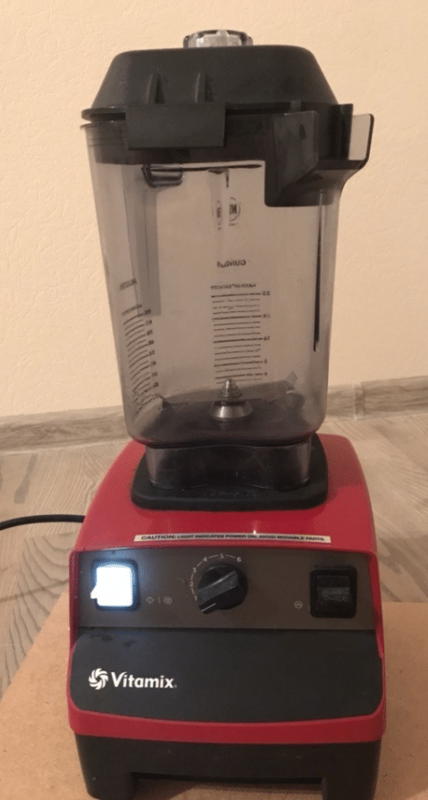 Motor Generation & Heating – A slight difference here, however, is that the Vitamix 7500 is fitted with a new generation motor housing while Vitamix 5300 sports the older variant, the standard motor housing. While on paper both these motors operate similarly, it’s your electricity bill and motor noise that tell a different story. The Vitamix 7500 is a smooth operator, in the literal sense, consuming less energy compared to its counterpart. Both machines seldom heat up thanks to the air vents that let out the heat. The 7500 sports larger air vents that keep it cool at all times. Noise – Coming to the pain point of almost all blenders, the noise. With 4 inches of blade size each, there is bound to be some noise. The Vitamix 7500 however, trumps its counterpart with 88 decibels on maximum speed while the Vitamix 5300 extends up to 98 decibels, both at top speed. We must add though, that neither of the machines gets unstable even at maximum speed, thanks to the strong base they sport. Product Accompaniments & Bonus Goodies – Free goodies excite everybody! Especially if it’s going to help you with recipes and cooking, we certainly wouldn’t say no to it! There’s certainly a tradeoff here on this front between Vitamix 5300 vs 7500. The former brings with a booklet of about 70 recipes that your new prized possession can help you with. 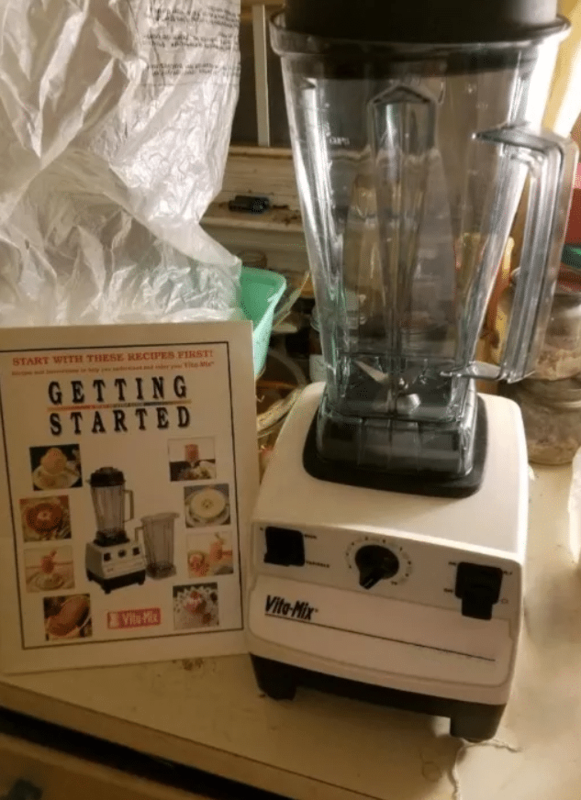 The Vitamix 7500 goes a notch higher to bring with it a DVD with instructions and tutorials on over 200 free recipes along with the read-only booklet. 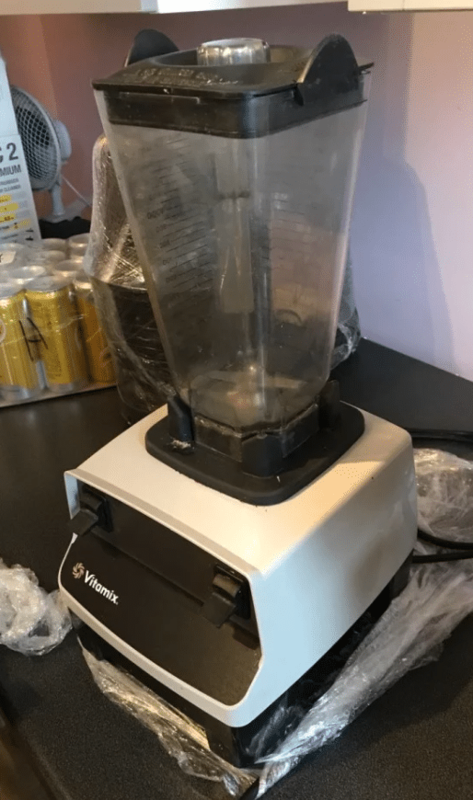 So if you are one of those who is likely to run out of things to make on a daily basis, the Vitamix 7500 sure does look tempting! Safety – It is imperative that we discuss the issue of safety in this review as it is an electrical device for a home environment. Coming from the same manufacturer, both Vitamix blenders score fairly equal when it comes to safety. However, the 7500 is a notch higher in terms of possessing a cooling fan and thermal protection that ensures no room for overheating whatsoever. It even automatically switches off when hot, unlike its counterpart. Appliance Vibration – Most electrical appliances exhibit some vibration, especially when operating at full capacity. 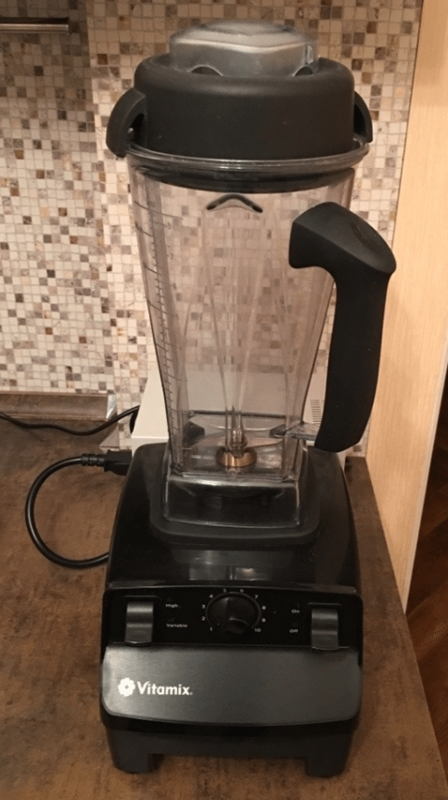 If we were to compare both blenders, we would have to admit that the Vitamix 7500 is a shade better than the 5300 variant when it comes to dampening the vibration. We would attribute this to the new generation motor housing, which is also the reason for the lower levels of noise. How Do The Vitamix 7500 and Vitamix 5300 Square Up Individually? It is certainly difficult to choose between both these visually appealing machines that make blending look so easy, which is why we’ve drawn out a list of pros and cons of both Vitamix blenders that may help you inch closer on your choice. We won’t deny it – we love both! 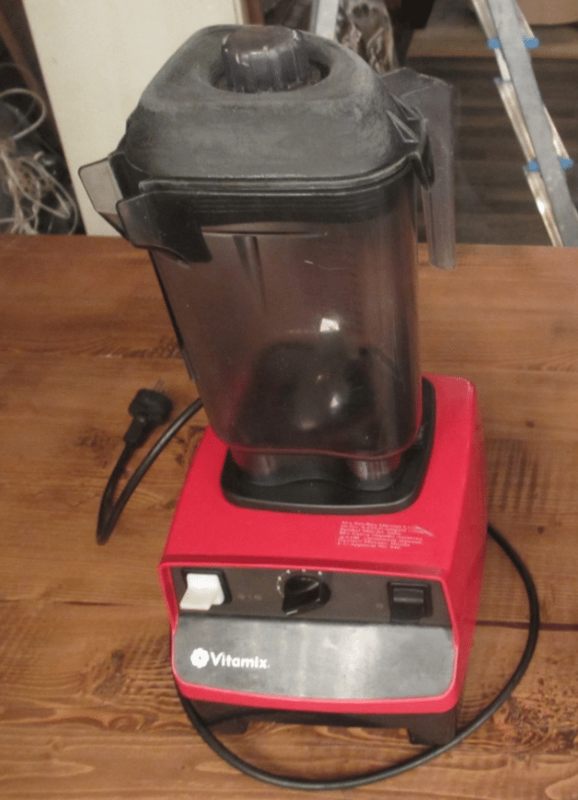 It is easy to be smitten by Vitamix 7500 and Vitamix 5300 for all they have to offer. Cooking never got easier and more importantly, healthy cooking just got a whole lot of fun with this range of power machines that surely pack a punch! If you’re looking for quality, consistency and versatility, you’ve got all that you need in both these blenders. Besides, Vitamix as a brand is extremely reliable, delivering top class products consistently. By and large, they’re both on the same page and would certainly be the pride and envy of your set of appliances in your kitchen. In terms of delivering the end product, both blenders give you the same quality of blending, chopping and pulping. But, if we really had to draw out a winner, it would be the finer nuances that we would find the differences in. The Vitamix 7500 certainly goes a step ahead of its counterpart in the aspect of design and sleekness. On matters of technology too, it emerges victorious with a new generation motor housing in its kitty vis-a-vis the standard motor of a Vitamix 5300. On the safety and noise front too, it is the Vitamix 7500 that stands on a higher pedestal. The illuminated control panel of the Vitamix 7500 too is slightly more appealing than that of the Vitamix 5300. If budget isn’t a point of contention for you, we would certainly recommend the Vitamix 7500 between Vitamix 7500 vs 5300 for the little extra it has to offer. But if it is going to dig too big a hole in your pocket, the Vitamix 5300 should be an extremely satisfying buy too, giving you the same quality of blending, albeit at few decibels higher. Irrespective of what you choose, we must say, both products are definite winners! Get ready to try a lot of new recipes and enjoy some delectable smoothies and juices that are sure to pave your road to good health.